Children rarely cope with cold sleeves or a shivery body. They often catch the common colds and eventually get sick. But don’t worry! We got you covered with our easy-to-use kids jacket size chart. You’ll easily find kids jacket sizes in future that fits your child to make sure that they’ll always have the perfect jacket to keep them comfortable. The best way to protect your child from the changing weather and harmful elements, especially during winter, is to keep them warm under a kids jacket. When determining your kids jacket size, remember not to use regular clothes sizes as basis. Instead, use a measuring tape to take measurements of your child’s (1) chest circumference, (2) waist circumference, and (3) height. You can add an extra inch as room for growth, and then refer to the kids jacket size chart of the brand you will buy from. U.S. kids jacket sizes are typically based on the child’s weight and height in pounds and inches. Sometimes, kids jacket size charts also provide specific measurements of the chest, waist, and hip. Ideally, you should buy a jacket that is waterproof, breathable, and has taped sealed seams. With the kids jacket size chart below, you’ll find out your child’s jacket size, in US sizes. The sizes are based on the child’s weight and length in pounds and inches with specific measurements of the chest, waist, and hip. If you’re buying from brands that follow European sizing for children’s clothes, you need to refer to an international conversion chart. Use this chart to find girl’s jacket size based on measurement in inches. Use this chart to find boy’s jacket size based on measurement in inches. With the coat size chart below, you’ll find out your child’s coat in US sizes. The coat sizes take the child’s weight and length into account. Getting the right measurement for your child is very easy. Every measurement is taken close to the body. When determining kids’ clothes sizes like jacket sizes, remember not to take the measurements of your child’s regular clothes. Once you have measured, you can look up the size in the kids jacket size chart below. Chest measurement– the essential body part for jacket measurement is the chest. Allow your child to stand up erect with arms relaxed on the side. Wrap the tape measure around the fullest part of your child’s chest and record the result. Since kids grow fast, you can add an inch to allow extra room for movement. You can also add one more inch for casual jackets. Waist measurement– Measure your child’s waist by wrapping the tape measure around the natural waist (not over pants) near the bellybutton. Record the results. Height: Allow your child to stand straight with feet together and the back against a wall. Measure from the floor to the top of the head. Record the results. Standard jacket sizes are intended for standard bodies. If you know that your child is shorter or taller than the average, you should measure their upper body. You can perform this by measuring down from the top of your child’s shoulder. For kids blazers, measure down to the top of the thigh. For kid’s coat, measure down to just above the knee. 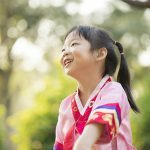 Looking for other kids clothes sizes? Here you can find boys clothing sizes and here girls clothing sizes. How to find the right Kids Jacket Sizes? All of these brands offer excellent jackets, anoraks and rain coats for kids: Columbia, Oakiwear, The North Face, Patagonia, Hatley, Burton, L.L. Bean. Expect that kids jackets are made of soft materials to provide warmth and comfort. As dry cleaning can be quite expensive, washing your kid’s jackets at home is the best alternative. 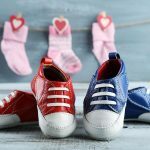 Here are some tips on how to clean children’s wear at the comfort of your home. #1: Before cleaning a jacket, read the label for special instructions and to make sure that the inner and outer fabric is washable. When washing jackets in a washing machine, use a downwash to avoid clumping. Afterward, put the clothing in the dryer on low heat. #2: For jackets made of polyester or synthetic fiber, it is best to wash them with cold water to prevent damage. Instead of machine drying, air drying is highly recommended to preserve the quality of your kid’s clothing. #3: Jackets made of wool and cashmere should be washed in cold water using a wool or cashmere soap. Also, they should never be tumble-dried to prevent the clothing from losing its flexibility or stretchability. #4: Waterproof coats and jackets should be washed in cold water with the use of mild detergent. Afterward, choose air drying as it is more preferred than machine drying. This will prevent the coating from stripping off from the layer and at the same time protecting the waterproof finish. 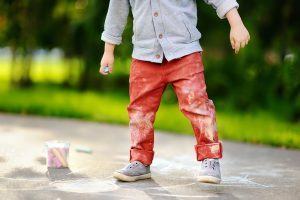 To narrow down your options of kids jackets, here are some jacket trends that provide style, warmth, and comfort for preschoolers and bigger kids. The Jacket should also match your kids pants. Tip: Over time, the waterproof feature of any jacket or raincoat will wear off making them less effective. Therefore, make sure to inspect your kid’s jacket or anorak for any signs of wearing or shedding. Waterproof: The most important feature of kids jacket is that it should be waterproof. If not, at least it should be water resistant. Manufacturers achieve this by a waterproof coating or a type of membrane, which is more durable and breathable. Also, coatings are known to be cheaper but they lose quality and effectiveness after some time. Breathable: Children skin are sensitive and fragile. For this reason, look for a jacket that is waterproof and at the same time breathable. This will allow your child’s skin to breathe by allowing moisture to escape. In addition, breathability boils down to the type fabric used such as waterproof membranes with microscopic pores for providing breathability. Taped seams; Kids jacket should be waterproof or weatherproof. And so, make sure to look for jackets with taped seam feature. Taped seams are heat-sealed seams capable of preventing water from coming through the fabric or stitching. Tip: For a jacket or rain coat to be 100% waterproof, it should be made with taped seams. Jackets with taped seams are very important if your child will be exposed to heavy rain. Hood: Some kids jacket have a detachable hood to cover their head and ears and provide protection against elements. Some hoods are also intended to direct rain away from your child’s face or to protect their ears from the chilly winter. Multiple pocket and zips: Kids jackets have multiple internal and external pockets where your child can put some of their belongings. Zipped-pockets are very important when your kids are active or when they are out and about in the great outdoors. In addition, there are jackets with waterproof pockets to ensure that water will not sip in through the fabric. Reinforcements: Today, some high tech jackets for kids have reinforcement paddings. The common points of reinforcement are the shoulders, elbows, and the lower back. These reinforcements will protect your child from trauma or abrasion. Considering all these criteria, shopping online or from your favorite stores is easy. You’ll definitely find the perfect size for kids jacket that will keep your child warm, dry, and protected at all times. 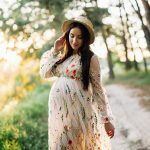 Calculator: Pregnancy Weeks – What Happens Right Now in my Belly? 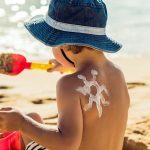 Sun Exposure: How Much of It Is Safe For My Child?